I’ve been wanting to change the way I run my business for a while now and have always wanted to raise my profile with celebrity ambassadors and high profile clients. Over the years I know that Sting’s wife (Trudie Styler) purchased a bracelet for a friend from one of my galleries in Cambridge and that my friend saw Sally Magnusson wearing a piece that looked like my jewellery while she was presenting the news. However I didn’t get photographic evidence of these. I also know that female MSP’s have purchased my jewellery, but I’m not allowed to mention their names. I’ve been thinking, it’s time for a change. I need to move my business onto the next level. So I applied for a growing your business accelerator course, at the Centre for Entrepreneurship @ElevatorUK, passed the bootcamp and got onto the 12 week intensive course. I’m now on week 4 and it’s been a real eye opener already and it’s completely different to how I’m used to working. Last week I was encouraged to go to the Investing Women Conference, which took place on International Women’s Day. What better day to celebrate the achievements of amazing women! 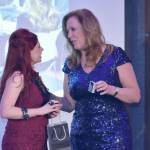 I was invited to showcase my jewellery on the Investing Women stand which was a fantastic opportunity. This was due to the help of Jackie Waring, whom I met a few years ago, she is the driver behind Investing Women and herself is an owner of Genna Design jewellery. 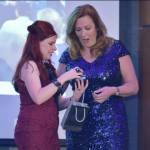 I was given the opportunity to have my jewellery as prizes for the 6 winners of the AccelorateHER awards. 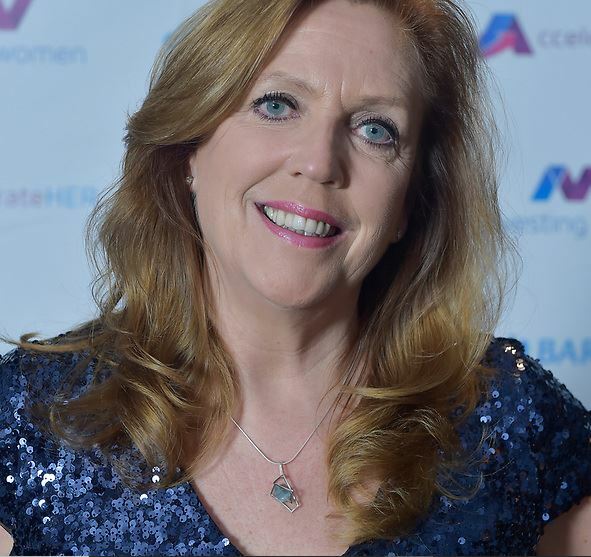 Then to top it all off, they had managed to book Jenny Campbell, a very successful female entrepreneur, who is now a new investor on ‘Dragons Den’ as a speaker at their evening event. Jenny shared her story of how she left school at an early age and successfully worked her way up in the financial industry, an industry which is severely male dominated. However Jenny worked her way to the top. It is an extremely inspiring story to know that, with the right people around you and the passion to make change, you can achieve your goals. 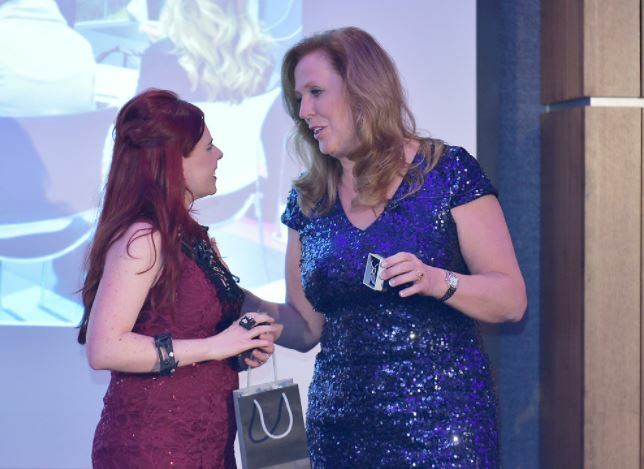 So with great thanks to Jackie, I was able to gift Jenny Campbell a piece of my jewellery at the awards, I presented her with a limited edition Aquamarine Component Pendant on stage, in front of everyone. I was nervous and excited, but mostly very honoured that she accepted the piece, and I really hoped that she liked it. Which thankfully from the photos below you can tell she does! Phew! Jenny has since emailed me and told me personally that she loves the piece. Hi Genna, it was lovely to meet you last evening and I just wanted to drop you a line to say thank you for the beautiful necklace you gave me. It is truly gorgeous. What a talent you have. I’ve not taken it off since last Thursday! I was even wearing it for Crufts all weekend! This is just the start of raising my profile. This whole experience has definitely helped to build up my confidence! So it’s onwards and upwards for Genna Design. 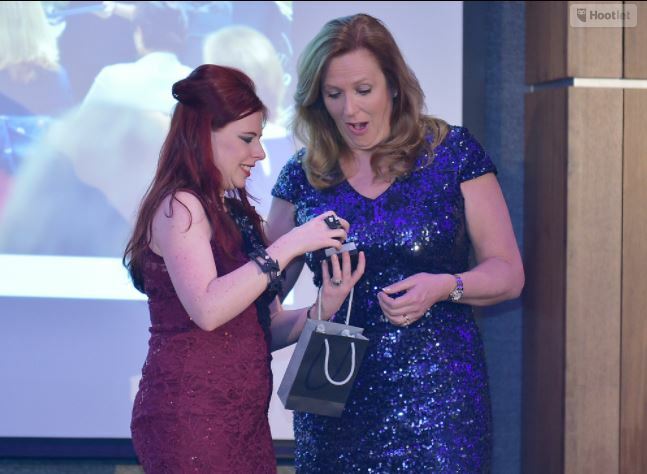 It’s such an amazing experience to have such a successful women wearing my jewellery. 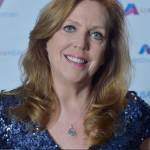 I feel very proud to have Jenny Campbell as an ambassador. If you would like to purchase a piece from the same collection here is a link to the page.